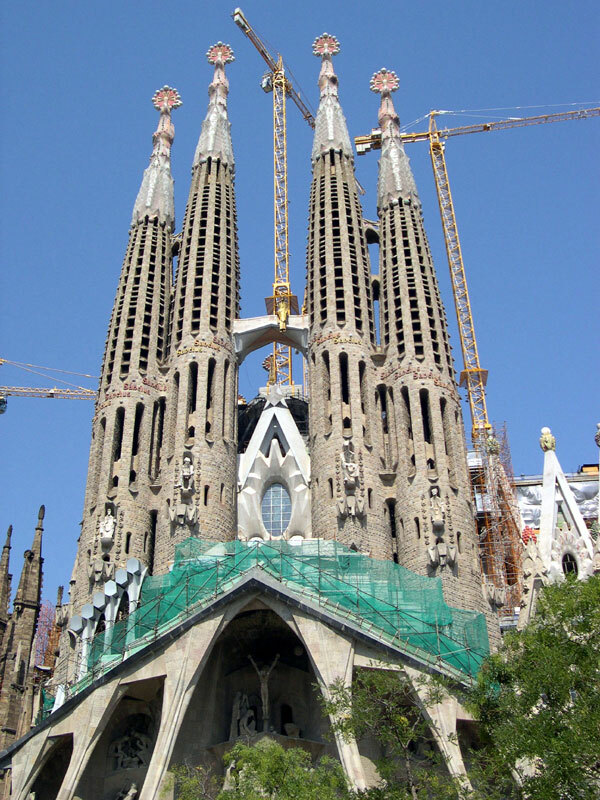 The Temple de la Sagrada Familia is probably the most impressive structure in Barcelona, truly amazing. By Gaudi. Casa Batllo, also by Gaudi. 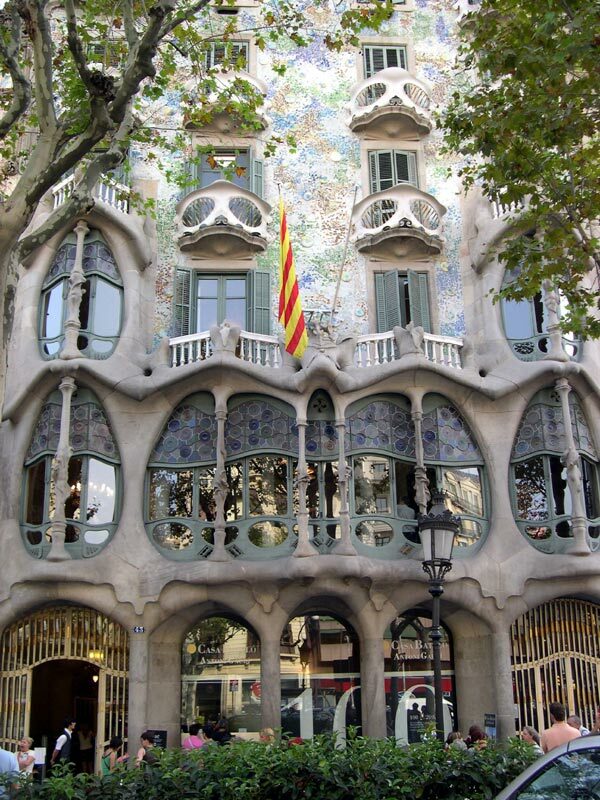 Gaudi is very prominent in the architecture of Barcelona. 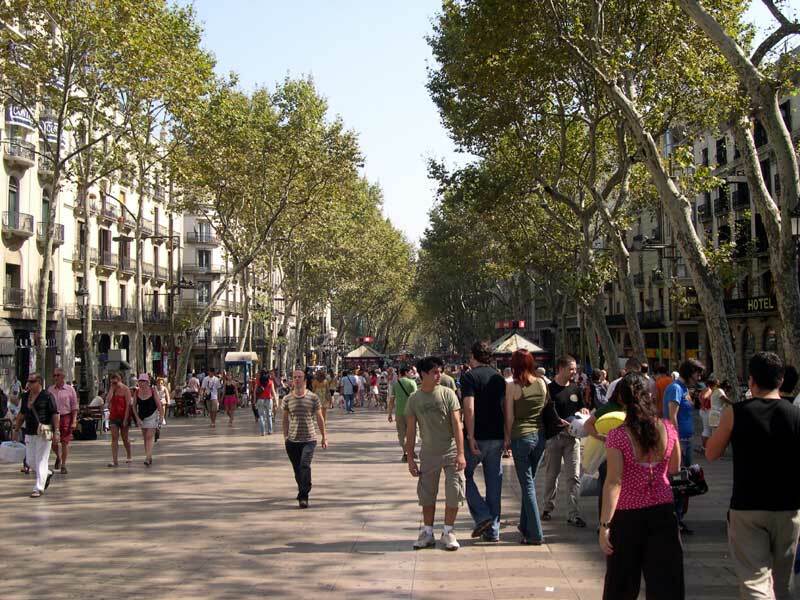 The most famous avenue in Barcelona, La Rambla. Cars are accorded a narrow lane on either side of the wide central strolling area. Street vendors and performers abound along La Rambla. 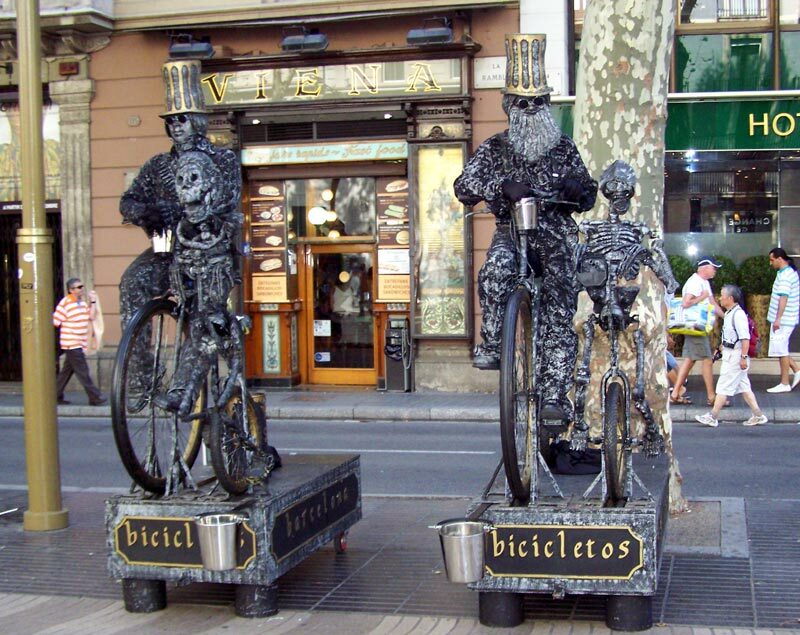 These two "statues" are actually performers on bicycles, covered from head-to-toe in metallic paint. 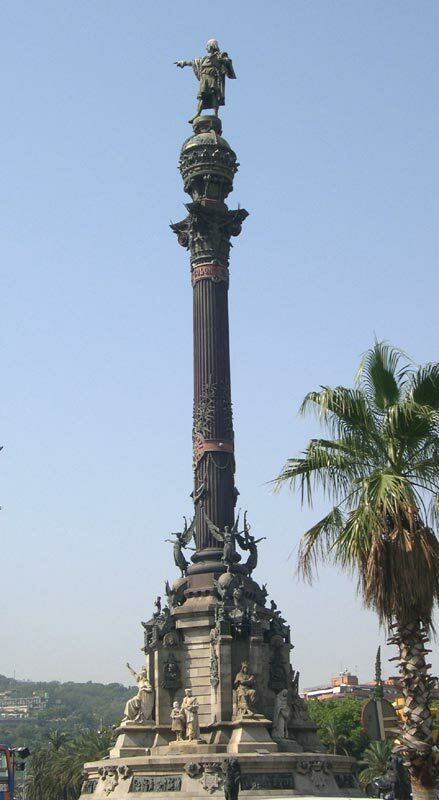 Christopher Columbus at the Port of Barcelona pointing the way to the New World. 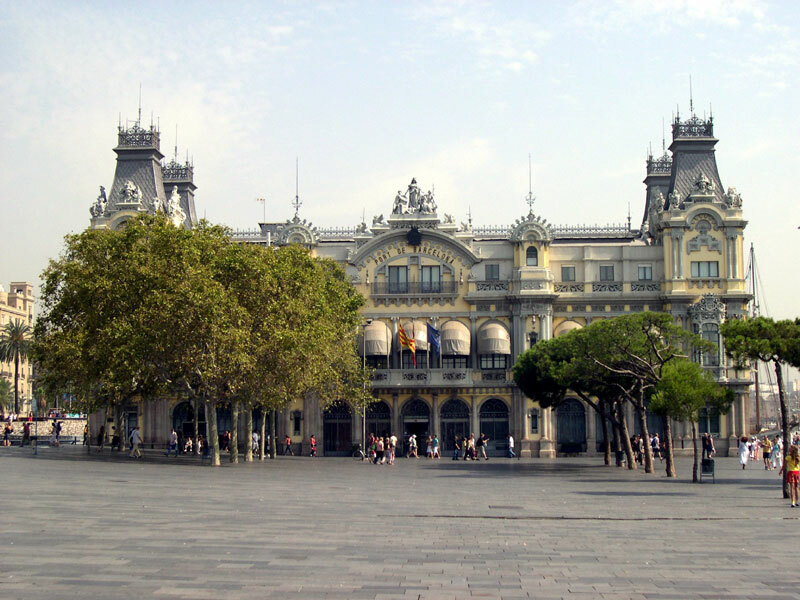 Headquarters of the Port of Barcelona. 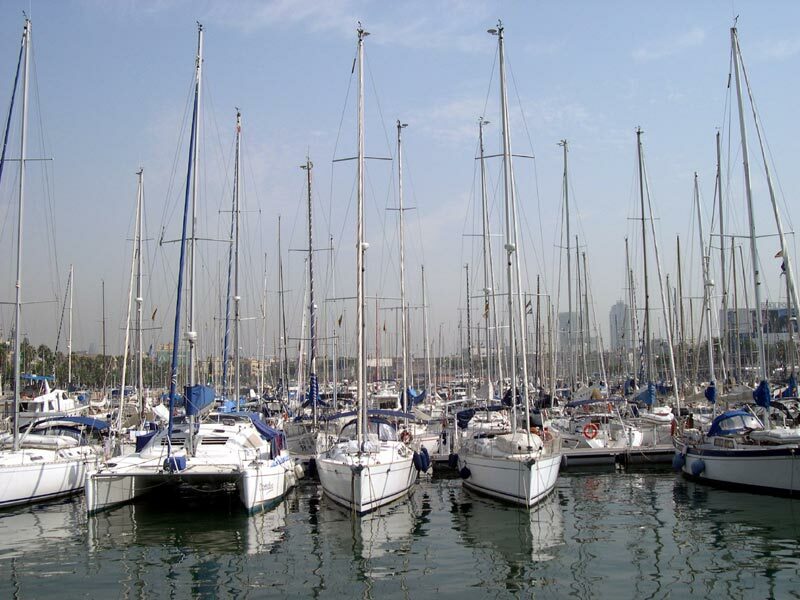 Rows and rows of sailboats docked at the Port of Barcelona.